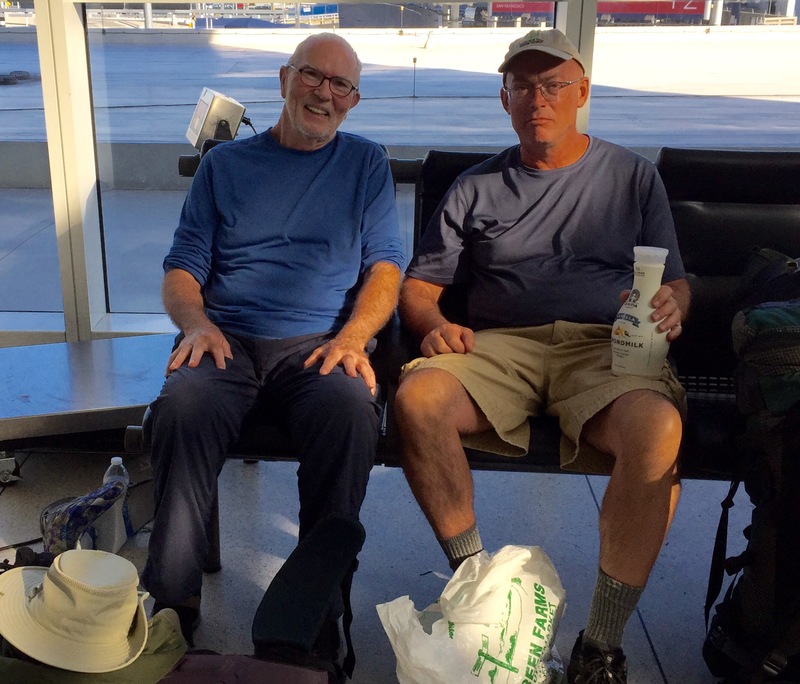 Here we are at JFK, Eddie and Kurt, waiting for our flight to Warsaw via Oslo. Lots of waiting around and we can’t wait to get started. 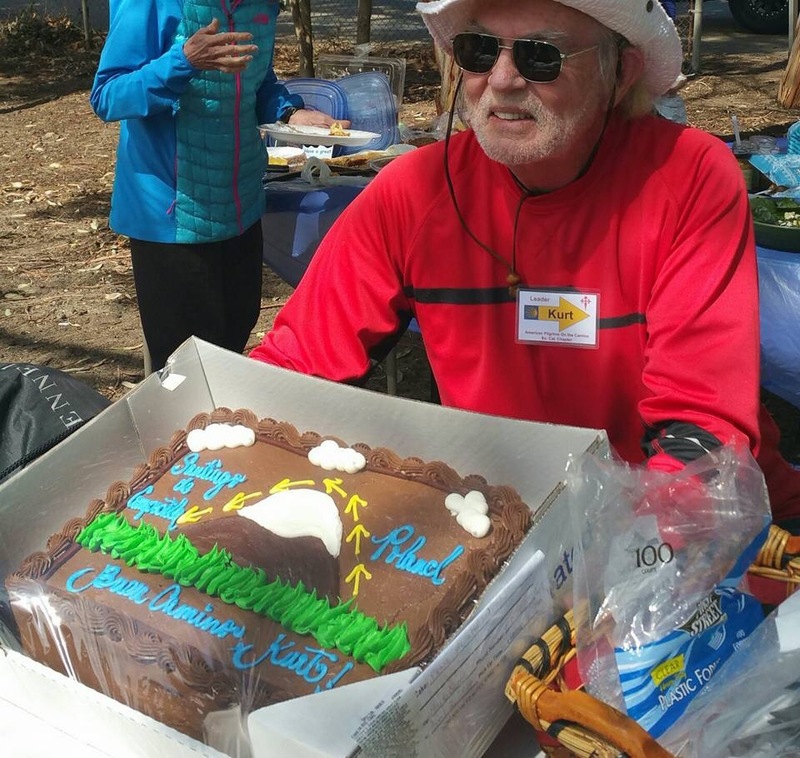 On Sunday, April 2nd, 44 hikers of the So Cal Chapter of the American Pilgrims on the Camino trekked through 11 miles through the Santa Monica mountains. Belle, Marla and I guided one group while Geoff and Claudine guided a second group. 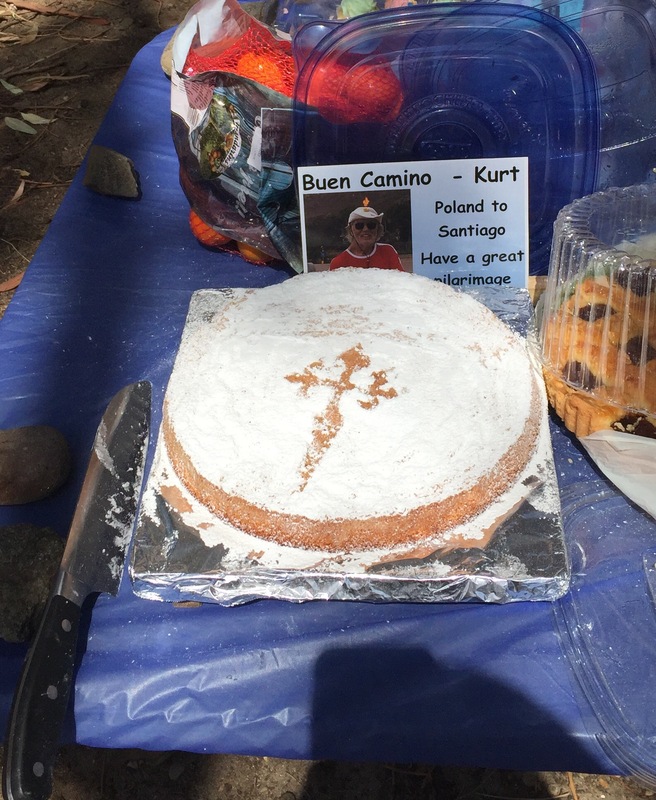 Everyone had a great time: super weather and scenery; scrumptious picnic afterwards; and a Buen Camino cake, Tarta de Santiago, card, and bottle of Marques de Riscal, Reserva, to help send me off on my trek in 15 days–THANK YOU SO MUCH TO EVERYONE !! !